Growing up we had many adventures. Especially during the summer. My favorite memories of those times are loading up in either our Chevy II or my Aunt’s, and off we would go. We loved going to the weekly movies at the Planetarium. They would project old Disney movies like “Cannonball Express” or “Candleshoe” or “Apple Dumpling Gang” up on the horizon part of the dome above us. The cool darkness was a welcome contrast to the blazing bright heat outside. As we exited through the side door, talking about our favorite parts of the movie, we would blink against the sun shining down on us. As the movies were shown mid-morning, by the time the movie was over, we were all hungry. It was lunchtime. 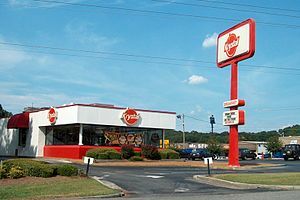 I remember on several occasions either Mama or my Aunt driving across town to the Krystal over near the Mall. One of them, maybe both, would have clipped a coupon out. Krystal burgers 25 cents each. Later the special was 35 cents each. As we’d pull into the drive thru lane, they would do a headcount and figure out how many each of us could eat. With at least seven children (and eight later on) eating between the two families and two adults, the order could get quite sizable. Seems like I can remember us ordering well over thirty. But we’re talking Krystal burgers, so yeah, they all got eaten. And appreciated. If you’ve never had one, you don’t know what you are missing. Good food. But really, really good times. Today I had the rare treat of spending time just me and my little guy Cooter. We spent a little while at a Christmas Market where he assured me he would absolutely take care of the wooden fire engine or tow truck, and that he really is old enough for a cap pistol. Ahem. Christmas is coming soon, buddy. In the end, he was happy with the simple lariat he found, convinced he is the next Indiana Jones. As we were leaving, he mentioned being hungry. Today was one of those strange days that clocks didn’t matter. We hadn’t eaten lunch at the traditional hour, so I told him we’d run through and pick something up. He was in good spirits, that cutie pie in the booster seat behind me. His joy came through in his attitude as he played with his rope. Well. That was strange. Cooter is a fan of the beige food groups–pizza, chicken, cheese quesadillas, etc. When I encourage him to eat his vegetables, he reminds me, “But Mama, I’m a fruitatarian.” Oh my. A glance in the rearview mirror showed his face had fallen. Bless him. I felt bad. I assured him I was just kidding. Then he perked back up. And asked for Zaxby’s. Ugh. I do love Zaxby’s at times, but we can have it anytime, as it is safe for my food allergy child. While I wasn’t looking to have a nut sandwich for lunch, I was hoping for something that wasn’t from one of the few places we are able to go safely. As I turned into Zaxby’s I saw it. The red circle. The K. Krystal. My heart, my stomach, my mind–whatever–hollered YES. I was going to have to make another drive around to get in the drive-thru at Zaxby’s, so I told Cooter that I had a treat for him. As I pulled back out on the road and went two drives down to Krystal, he began to cry. We don’t eat much red meat in our house anymore, so I didn’t want to chance the burger. I ordered him a Krystal Chik, their mini chicken sandwich, and a Krystal pup. He sat quietly in the backseat. When the food was ready I passed it back to him. And then…..
“Oh Mama! This is really, really good. How long have they been around? When did you have your first one? I can’t believe this is so good.” He went on and on between bites. “It’s even better than Chick-Fil-A.” What?! Are you kidding me? Oh y’all. He carried on like that for the rest of his meal. I told him the story of sneaking a Krystal Chik into Mama at the hospital. He laughed at that, and then we had a long talk about hospital food and what it’s like. As his hunger subsided and he was all but glowing from this meal he loved so much, he started chanting. “Krystal’s is great, Krystal’s is good, Let us thank Him for our Krystals…..” When I recognized the cadence as an altered version of our blessing, I stopped him. “Whoa buddy, let’s don’t do that.” I wasn’t sure, but it felt like it might border on sacrilege. I smiled. I am glad he enjoyed his day and our time together. I know the meal he had today wasn’t the best for him. So I will pump him full of fruits and much better things tomorrow. The thing is, I hope one day he will look back on today and remember the Krystals and everything and be filled with the warmth that only a good memory can bring. And one day he will realize, as I have come to, that while the Krystal burgers, chiks, pups, whatever are delicious and worth remembering, it’s who we were with and how they made us feel that were really at the root of the joy of the day. And when you throw in Krystals with good times and the folks you love, well, that’s just icing on an already better than anything in the world cake.